The NBA Playoffs are only weeks away, which means awards season is also almost upon us. Here are some ideas for new accolades we would like to see handed out at the end of each season. Some are serious, some not so much. Who would you nominate for each award this season? Let us know if the comments below. 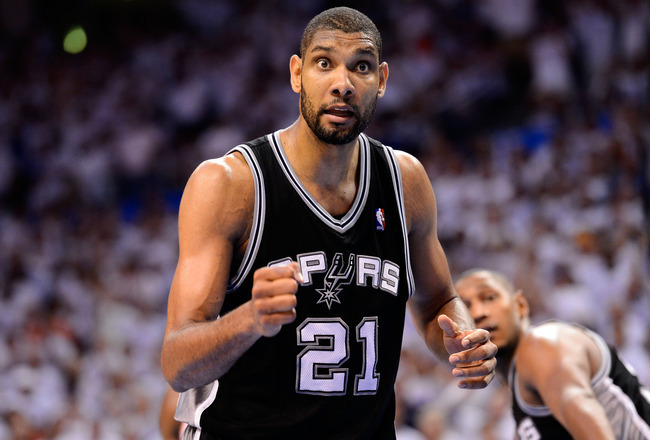 Tim Duncan might be old, but he remains one of the league’s best players. Each season, the NBA celebrates the best performing first-year players by selecting a Rookie of the Year and announcing their All-Rookie teams. But why should the league’s youngsters get all the praise? It is arguably more impressive to be a valuable contributor in the NBA in the later years of your career than as a fresh-faced college kid. So why not commemorate the best performing elder statesmen of the league each season? Limit the field to players over 35 years of age and sign a lucrative sponsorship with an adult diaper company and you are good to go. Let’s take this opportunity to retroactively present the last three awards to Tim Duncan – 15.2 points, 9.9 rebounds and 1.9 blocks per game as a 38-year-old this season. He doesn’t get the most playing time, but Jimmer Fredette might get the biggest cheers from the crowd when he subs in. There is plenty of talk surrounding the best sixth men in the league. Scoring, defence or leadership off the bench is a valuable commodity for any team, but where is the love for the guys that do all that from the end of the bench? They might not have had the biggest role on the court for their teams, but guys like Brian Scalabrine and Luke Walton often received the biggest cheers from the fans when they took the court. It is time for the NBA to recognise the valuable contributions of the human victory cigars around the league with an official award. Reigning titleholder Kent Bazemore has found a bigger role with the Los Angeles Lakers, so it is time to elect a new champion. 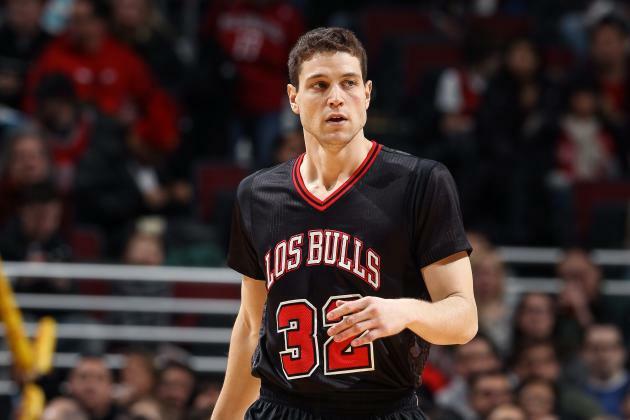 This season’s winner of the Brian Scalabrine 12th Man of the Year award is…Chicago Bull Jimmer Fredette! The former King has only scored 15 points for the Bulls, but that is the beauty of this award. Stats don’t matter. Fredette received a standing ovation as he checked in for the first time in Chicago and swiftly nailed a long two-pointer, his only basket in 3:08 of actions. Which is the epitome of a 12th Man of the Year performance. #FreeJimmer! 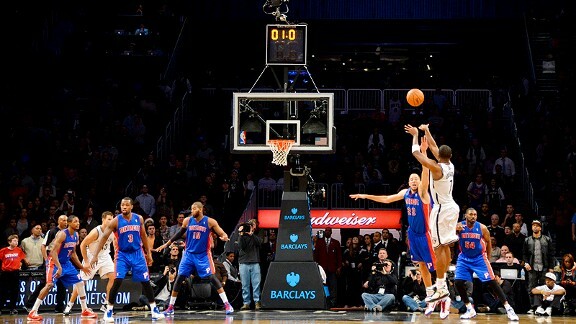 Joe Johnson is a cold blooded killer in clutch situations. It is one of the most highly debated topics in the NBA: who is the most clutch player in the league. So why not introduce an official award for people to through amongst the hyperbole of their debates? This is the type of award that can be won or lost on the basis of a single play. Hit a big-time shot and you could taking home the hardware. Miss it and you can forget about adding to your trophy cabinet. This season’s winner of the Michael Jordan Trophy (its about time the G.O.A.T. got his name on an official award), and defending champion, is Brooklyn Nets late game assassin Joe Johnson. Johnson is so dependable in late-game situations that teammates Kevin Garnett refers to him as “Joe Jesus”. “He might not be there when you call on him, but he’s there when you need him,” said Garnett of Johnson’s game-sealing performance against the Hawks earlier in the season. Per Jason Patt of SBNation, over his past two seasons, Johnson is 6-for-6 in the final 10 seconds of regulation or overtime when his team is tied or behind by three points or less. While in the final 30 seconds of regulation or overtime in similar situations, he is 12-for-14. Gerald Green has made the most of his extended playing time in Phoenix, showcasing some incredible dunks along the way. The All-Star Weekend Dunk Contest might fall short of expectations each season, but there have been no shortage of awe-inspiring dunks during the regular season over the years. It also opens the field to superstars who are reluctant to enter the dunk contest like LeBron James or Russell Westbrook and include elements of dunking that the dunk contest neglects like dunking over an actively defending opponent. 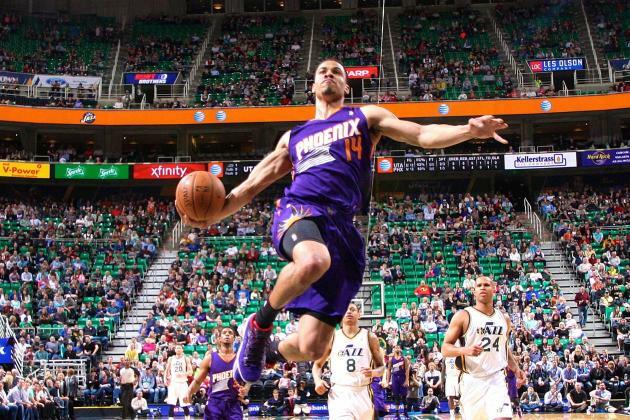 This season’s clear winner is Phoenix Suns high-flyer Gerald Green. He says he doesn’t want to be known as just a dunker anymore, but as long as he keeps defying gravity, Green’s most spectacular moments will continue to happen above the rim. Jeff Withey was a runaway candidate for the Shawn Bradley Trophy after Xavier Henry posterised him at the beginning of the season. There’s one of every team. The gangly 7-foot centre who spends equal amounts of time on opponents highlight reels and posters as he does on the bench. Three-time winner Timofey Mozgov is slowly becoming a productive player for the Nuggets, Luke Harangody is sadly no longer in the league, and reigning champ Aaron Gray has provided less laugh-out-loud highlights this season, so it is time to crown a new champ. 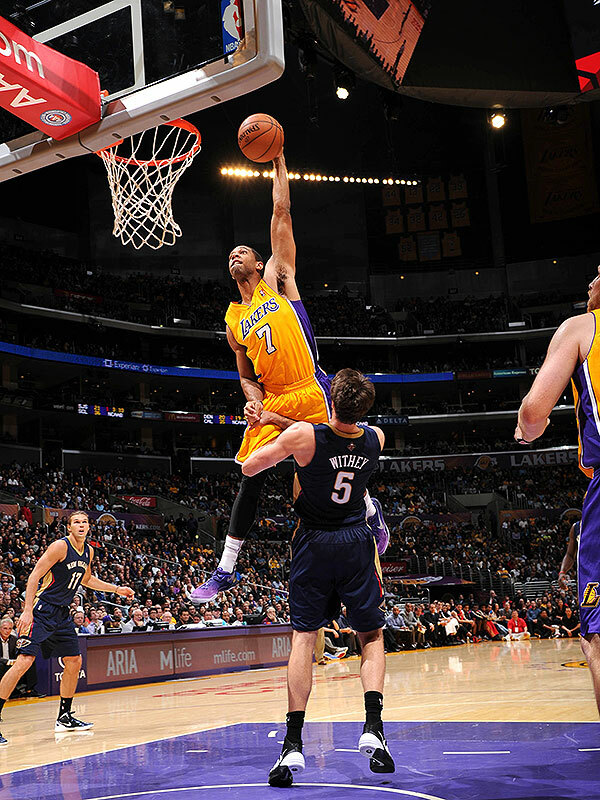 New Orleans Pelicans pivot Jeff Withey’s pride is still hurting after Lakers swingman Xavier Henry embarrassed him with a filthy facial dunk earlier in the season. Former Laker, and current TNT analyst, Shaquille O’Neal accidentally referred to Withey as “Jeff Whitey” during his “Diesal’s Dunks” segment earlier in the year. A unanimous selection: Jeff “Whitey” Withey. Kendall Marshall has been a revelation in the Lakers backcourt, he could also revitalise your Twitter feed if you aren’t following him already. Twitter has brought NBA fans closer to their favourite players than ever before. The NBA’s funniest, most intelligent, and just downright weirdest players are each given their chance to shine 140 characters at a time. 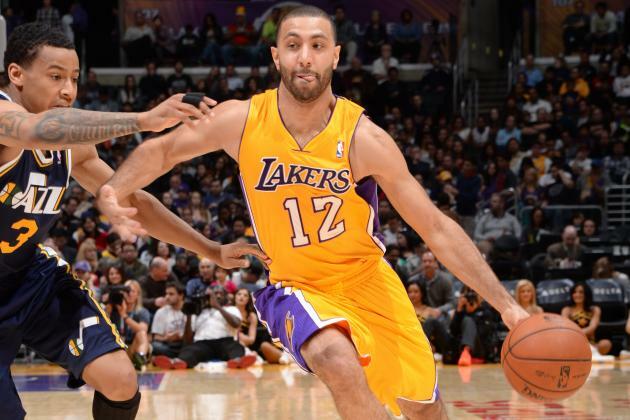 This season we are handing the trophy to Los Angeles Lakers point guard Kendall Marshall. There might be holes in his basketball game, but Marshall’s is an all-around Twitter stud. From jokes and song lyrics to astute social observations and interacting with his followers, Marshall is at the forefront of the NBA social media evolution. Honourable mention to Kevin Seraphin (Washington/@kevin_seraphin) who follows me for god knows what reason. 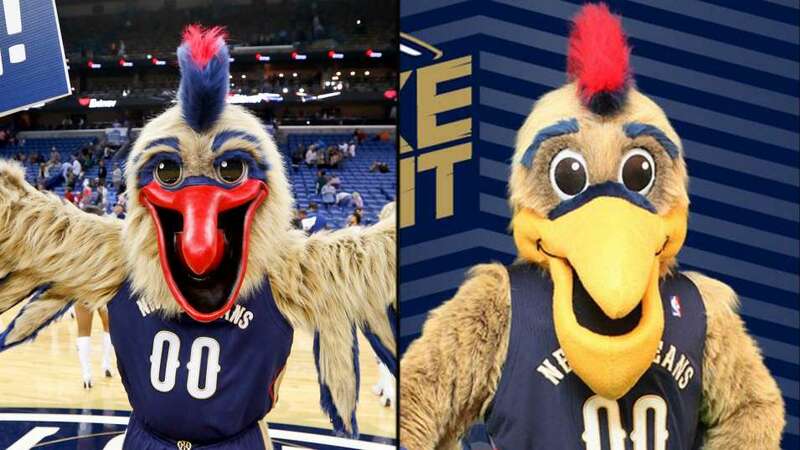 You can’t deny Pierre the Pelican’s commitment to the cause after he went under the knife midseason to reconstruct his terrifying face. They’re fun, they’re silly, they’re just awesome. NBA mascots are amazing and it is an absolute outrage that we don’t commemorate their contribution to the game each and ever season! Even inflatable mascots are incredible! Early favourite for this season’s award The Raptor (Toronto) was cut down by injury before the season even began, but strong performances from veteran mascots Benny the Bull (Chicago), Hooper (Detroit) and defending champ Rocky the Mountain Lion (Denver) maintained the awards history of strong competition. However, this season belongs to one mascot and one mascot alone. Rookie sensation Pierre the Pelican’s season got off to a rough start, terrorising children and devouring unsuspecting fan’s souls, but his commitment to his craft (even going under the knife to change his appearance) and strong freshman season make him a worthy selection.